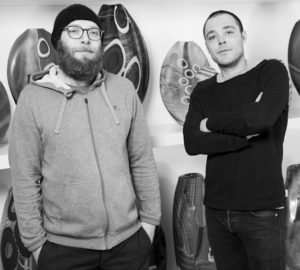 Studio Salvadore is a collaborative glass production team headed by Muranese artists Mattia and Marco Salvadore. As young boys, the two brothers began working alongside their father, Davide Salvadore, in the studio Campanol e Salvadore. 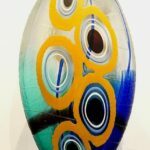 Davide Salvadore is a world renowned master glassblower who specializes in murrini and cold-work carving in the creation of his fantastical glass musical instruments. 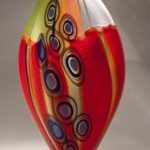 Both Mattia and Marco inherited their father’s passion for glass and began to work with him full time after attending college. 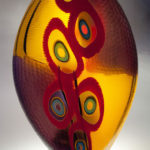 Following law studies, Mattia began producing glass art in 2001. 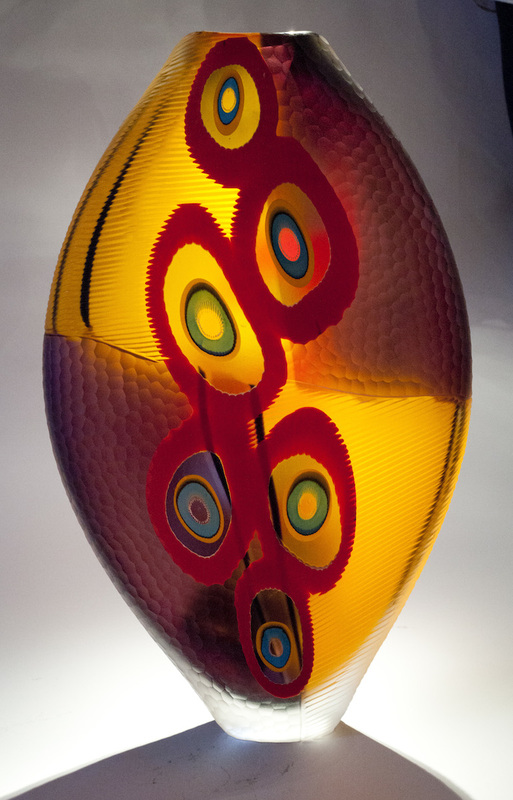 In 2003, he assisted Pino Signoretto, Franco Toffolo, and Dante Marioni at the international glass workshop organized by Centro Studio Vetro, in San Servolo, Venice. 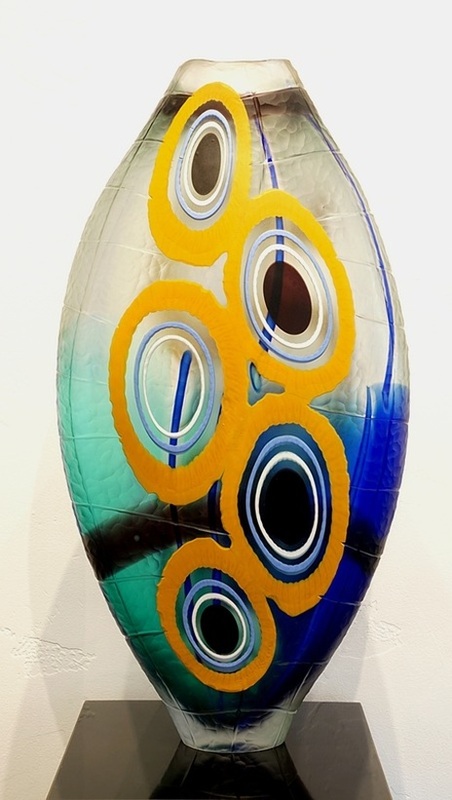 To develop his skills outside of his father’s studio, Mattia studied with a variety of Muranese masters, attended Pilchuck Glass School both as a teacher’s assistant and a student and has also worked extensively for the esteemed Venini glass factory. Marco studied accountancy, and his interest in travel led to a one year stay in London and Barcelona to learn languages. Marco works as Davide’s assistant and main collaborator, as well as being a creative full time glassmaker, designer and cold-worker in collaboration with Mattia. 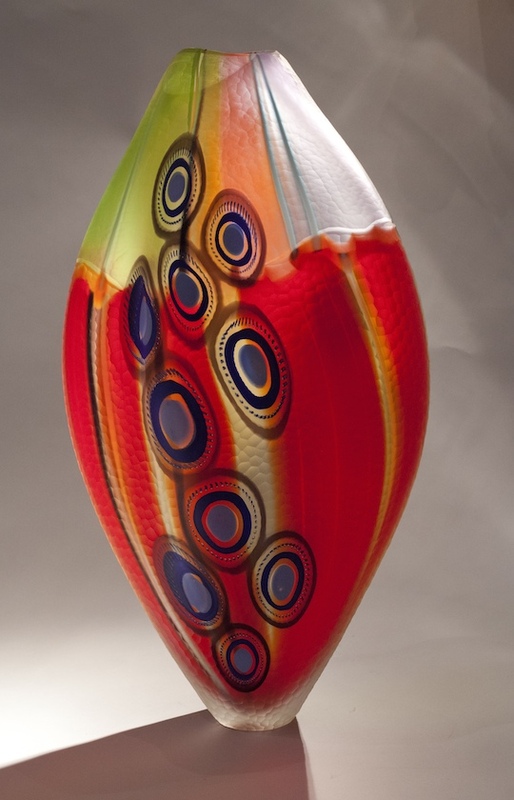 He was a presenter at the 2009 Glass Art Society conference, along with his father and brother, and has traveled around the world to teach glass working techniques. Mattia and Marco’s body of collaborative work combines many traditional Venetian techniques: murrini, cane, casing, trailing, cold-work carving and multilayered colors. While maintaining a sense of Venetian tradition and flair, the brother’s approach is fresh and contemporary. 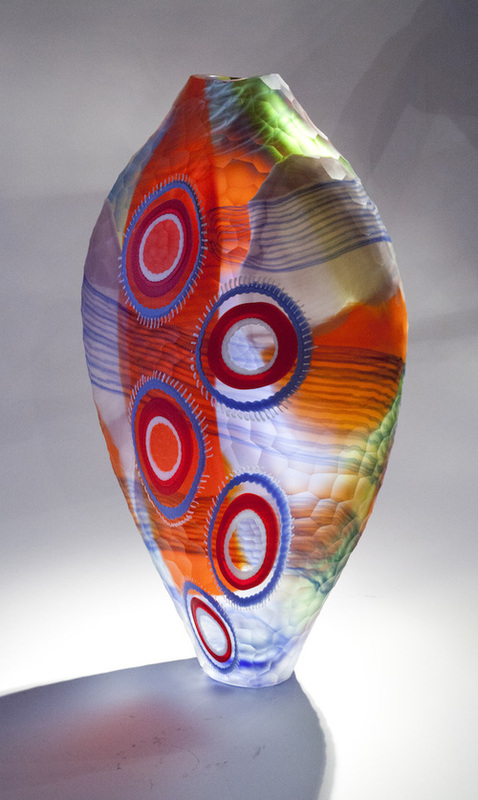 The murrini they produce are enormous, creating large concentric rings placed over layers of color. Likewise, the carving is large-scale with bold incisions that are energetic rather than merely repetitive and stilted. 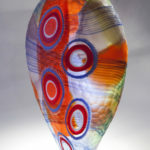 Color, texture, design, rhythm, and dynamics are the key elements of their multi-layered surface design. Complementing this complexity is their use of simple ovoid shapes that are the perfect canvas for Mattia and Marco’s lively sculptural objects.